I know I'm not the only one who feared the worst at Carrow Road. They'd scored 85 goals before Friday , just two defeats in twenty. Then we lose Westwood before kick off and Hutchinson after the half hour mark. The omens didn't look good did they. Pelupessy, Onomah , Boyd and Matias might qualify as some of our harsher fans' absolute nightmare midfield. Especially dealing with the top of the league. And yet...and yet we actually looked ok didn't we? The gaffer had a little shuffle around showing a tactical nous that we haven't seen for too long as time in the Sheffield Wednesday dugout and we actually looked not capable of containing the divisions best hot shots but also looking something of a threat ourselves. Pelupessy slotted into a shielding role and Boyd, with his huge stamina reserves came inside in a slightly more advanced pairing in front of him. Matias and Forestieri filled the wide births and suddenly we're a different proposition. In fact our Argentinian maestro puts in an absolutely scintillating display, the like of which many fans thought might be something which had been consigned to the memory. Always available, finding those little pockets of space and doing what he's really best at..picking up the ball and driving at the opposition - the pet hate of all defenders in the world from the Redgates League U10's (showing my age) to the best defenders in the Champions League. Simply put, he played like the Fernando we know he can be. Someone as savvy as Bruce will have not have needed such a blatant show of brilliance to realise what the diminutive 'forward' can do, he'll already be well aware of that. But maybe it showed him a way to coax it from that precocious talent on a more regular basis, and it certainly will give him food for thought over the coming summer months. CELEBRATING WITH THE COACHES. NANDO BACK TO HIS BEST And we must mention Fletcher. 32 and plagued over the last 18 months by a knee injury the last words you'D probably want to hear coming from the bench are "Fletch, play up there on your todd. Close down where you can and play off scraps and try and hold it up" But, in the words of the late Bruce Forsyth 'Didn't he do well'. In fact he did better than well. He was absolutely brilliant for my money , leading the line, winning headers, chasing lost causes and holding the ball and spreading the play bringing the wide players in. Superb. Of course. We concede at the death and have snatched from us a victory (what SKY said would have been 'a famous victory'. I never thought I'd see the day that a result at Carrow Road for Wednesday might be called 'a famous victory'. I suppose it just shows how the footballing landscape has changed.) . Yes, deep into injury time, after throwing the kitchen sink at us to little avail they nick a point. It was injury time that I couldn't quite work out myself , but there's nothing new there. Their lad goes down in easy fashion, plops the ball back a yard or two further out than the offence took place so he could get a better angle and fires in the leveller. Perhaps not surprising for a team that have smashed 56 second half goals this season out of total of 87. Swings and round abouts really considering the arm of Fletch! It feels a bit like a defeat doesn't it when the oppos net one so late, but I finished watching the game with an upbeat feeling. It had been a cracking performance. Albeit, one like Villa where we didn't get the spoils we might. But it was a performance that said that we are moving in the right direction. It was a performance from a team who are pulling in the right direction and possibly more importantly a team who are singing from the same hymn sheet and responding to the managers instruction positively rather than having the monk on. So now there's 9 points left to play for. I think all but the most optimistic fans have let any late dreams slide and are preparing for next season mentally. The manager will certainly be preparing for next season. I'm quite sure he's got plans in his head for what he wants. But these performances give him a few little questions to ask himself? Are there one or two lads that might be worth a years extension on? Are there one or two that he thought he might flog who he now thinks might be worth keeping? We'll find out soon enough but I do think that as much as he's driven, knowledgeable and got ideas of what he wants I don't think he's the type to just write people off if he thinks they have something in the locker. Bristol, Preston and QPR are games that might....just might save one of two peoples Wednesday careers. Especially if we don't have much to spend either. LIAM PALMER- ONCE VICTIM OF THE GROANERS HAS SURELY DONE ENOUGH TO EARN HIMSELF A NEW DEAL AT HIS BOYHOOD CLUB WITH HIS FORM . HASN'T HE? The first of this triple header is the visit of City tomorrow , and there's a chance we'll see some changes. The gaffer said on Thursday that he'd probably have to make some with two games in close proximity. But probably he might have more changes to make than he'd liked with Westwood and Hutchinson doubts. Who is going to play in midfield in this one? Hutchinson out with a hamstring, Onomah looking very tired, Bannan himself only just back from a hamstring . One thing is for sure, it won't be David Jones - seemingly vanished off the face of the Earth- and it won't be smokin Joe Frazier Almen Abdi because...well, who knows why...that chap and his situation has got to go down as one of the biggest mysteries in the history of our club. £4m transfer , £18kpw, 16 games in 3 years. Anyway... ----------------------------------------------------------------------------------------------------------------- Wednesday - V - Bristol City ------------------------------------------------------------------------------------ TEAM NEWS ------------------- Sheffield Wednesday boss Steve Bruce has a number of injury concerns ahead of Bristol City's visit to Hillsborough. Goalkeeper Keiren Westwood sustained a knee injury in the warm-up ahead of Friday's clash against Norwich, with Cameron Dawson called in to deputise at short notice, while Sam Hutchinson was taken off in the first half with a hamstring problem. Forward Gary Hooper could return after he was left out of the squad for the 2-2 draw at Carrow Road, but Adam Reach's Achilles injury is likely to keep him on the sidelines. Bristol City's Korey Smith is a major doubt for City's Easter Monday trip. The influential midfielder was carried off on a stretcher in the first half of Friday's 1-1 draw with Reading, with boss Lee Johnson confirming after the game that he had gone for x-rays on an area around his ankle. Liam Walsh came on in place of Smith and could feature again should he miss out. Niclas Eliasson and Matty Taylor are options for Johnson should he choose to make any changes. ------------------------------------------------------------------ MATCH FACTS Sheffield Wednesday haven't completed a league double over Bristol City since the 1972-73 season. Bristol City are winless in three league visits to Sheffield Wednesday (W0 D1 L2) since winning 3-2 there in December 2012. 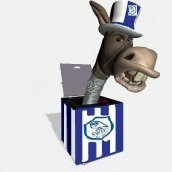 Sheffield Wednesday have won on Easter Monday in each of the last two seasons, winning 2-1 against QPR in April 2017 and 3-1 against Sunderland in April 2018. Bristol City are winless in seven league matches played on Monday (W0 D2 L5) since a 3-1 win at Stevenage in April 2014. Sheffield Wednesday boss Steve Bruce has lost his last three league matches on Easter Monday, most recently a 1-3 reverse away at Fulham with Aston Villa in April 2017. Bristol City manager Lee Johnson is winless in five league matches on Easter Monday with three different clubs - Oldham, Barnsley and Bristol City (W0 D3 L2). What the EFL could do is to stop the relegated Prem clubs classing the parachute payments as " income" . That would make the championship a more level playing field . And not forgetting Michael Mols. FFP will be an issue for for at least 2 years possibly 3. If we lost 20 million last season and the same this season, we are over the margin already for the next 2 seasons. Does smoking weed make you mentally ill? Hard to know what's going on with the conflating of sensitive issues. I'd be more inclined to say it's likely he's just incredibly dim. Frankly it's our own issues for not vetting our own signings properly. I don’t think anybody can answer the OP’s questions without seeing our accounts which have been delayed. Why they’ve been delayed is anyone’s guess, some creative accounting like at Derby perhaps with the stadium sale?